Huawei on March 26 in Paris launched its new P30 series smartphones including Huawei P30 and P30 Pro. Both the phone will soon be available for pre-order in the region. Now, it looks like the Huawei P30 series is coming to India very soon. The Official product page of the Huawei P30 series is live on the Amazon India website, that confirms that the Huawei P30 series will be available in India through Amazon India website. The product page of the Huawei P30 series features a big size banner that teases the Huawei P30 smartphone with a waterdrop notch. 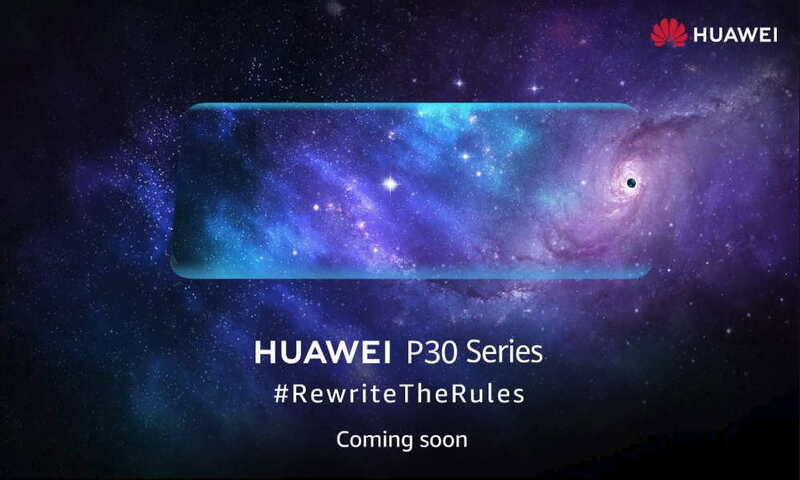 The big poster reads as Huawei P30 Series #RewriteTheRules, Coming Soon. There are no details of the pricing in India on the Amazon India teaser page. However, Both the new Huawei P30 and P30 Pro at its launch event in Paris were announced to be priced at $900 (for the 6/128GB model) which is around Rs. 62,000 INR. While the 256GB and 512GB storage variants have been priced at $1,200 (around Rs. 82,000 INR) and $1,400 (around Rs. 96,000 INR). Due to various Taxes in India, we can expect a higher price to pay for buying the Huawei P30 or P30 Pro in India.